When signing up for your Giving Day, you also signed up for GiveGab! This means, you have both a GiveGab profile and a Giving Day profile. 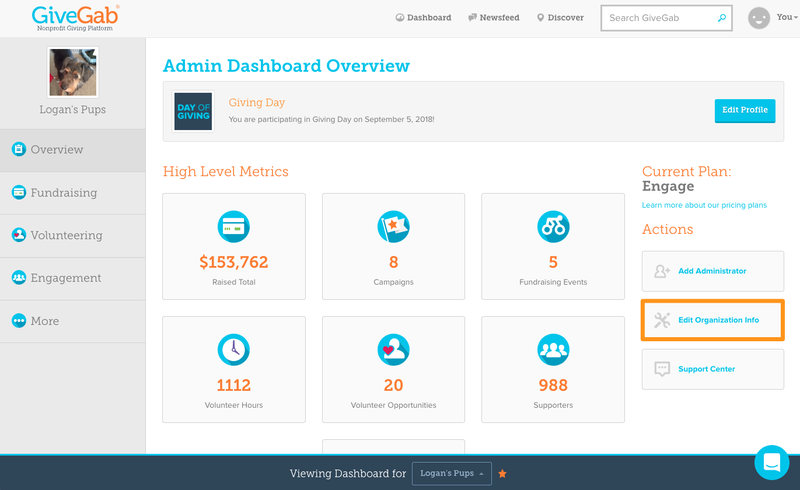 Only changes made from your Giving Day dashboard will be reflected on your Giving Day profile.